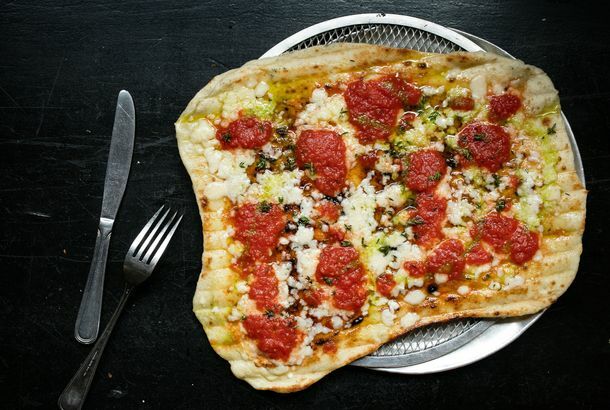 Paul Shoemaker Considers More Juicy Lucy Locations, Pizza Concept Named Biga,The chef foresees an intimate experience where guest chefs like Keller and Achatz prepare dinner for just 20 diners. South African Chicken Chain Targets Mugabe; Why You Need Salt in Your DietNando’s calls the nation’s leader “the last dictator standing” in a commercial that depicts him making snow-angels with Saddam Hussein. Love & Mole for Valentine’s DayThe Glutster shares a selection of top-tier Mexican restaurants feeling amorous his weekend. Jacopo’s Closes in Beverly Hills; Scoops Opens in PalmsThe 40-year-old pizza place says it’s been hit too hard by the economic downturn to remain open. J. Gold Finds A New Home at Pal Cabron; Virbila Probes Providence’s TastingL.A. Weekly enjoys having Natura so close at hand, while The L.A. Times calls Michael Cimarusti’s seafood some of the country’s best. Jonathan Gold Reopens His Union Square SpeakeasyThe L.A. Weekly critic will team up with Cedd Moses’$2 213 twice in the next month to get L.A. fed while benefiting a local non-profit. Which Tasting Event Best Fits Your Appetite and BudgetYou can find Michael Voltaggio and Ludo Lefebvre at three out of four. Virbila Loves Bradley Ogden’s Root; Merrill Shindler Gets Lei’d atSolvang has more than aebleskivers cries The L.A. Times while Daily Breeze enjoys a Hawaiian classic in Torrance. Jonathan Gold Mixes Up a ‘Classic L.A. Combination’Jonathan Gold on The Descendants and Weinerschnitzel. Villaraigosa Starts A Local Food Task ForceA task force is being created to look at Los Angeles’ food supplies and consumption.